So you purchased your first MemberWhen and are ready to get the process started. It’s time for the first step, which is to schedule a time to chat with your storyographer. But wait — what exactly is a storyographer? This short post will give you a background on what a storyographer is and what you need to know about this conversation. Imagine your storyographer as an old friend. They will setup a time for the call at your earliest convenience and the two of you will chat for about 15-20 minutes. There’s no need to prepare, but if you wanted to get a better idea of what you’ll be talking about, we do list out sample questions and topics at the bottom of each MemberWhen story product page. Like I said earlier, it’s as easy and intuitive as having a conversation with an old friend. Your storyographer’s questions will guide the discussion and the best answers are ones that just come to mind. There are no wrong answers. No one knows the feelings and memories you share with the people you love as well as you do! This is your story! Your storyographer won’t push any topic you don’t want to discuss and is always open to feedback and suggestions of topics. If there’s a question you’d rather not answer, that’s perfectly fine — just let your storyographer know and they’ll move on to the next question. If what you just said came out wrong or you tripped over your words a little — that’s fine too. 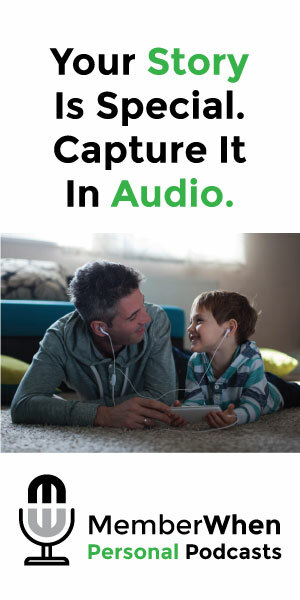 Just let your storyographer know you’d like to say that answer again and they’ll take the best audio clip for the final product. Your storyographer is there to listen and tell your story in the best way possible. Lastly, some of you may end the conversation not feeling one-hundred percent about what you said or how it sounded. We know, because we get that a lot. So much so, that our good friend and editor Andy wrote a post called Why You Did Great in Your MemberWhen Conversation. I recommend taking a quick read to get some insight into the editing world and what goes on behind the scenes of making your story sound great. 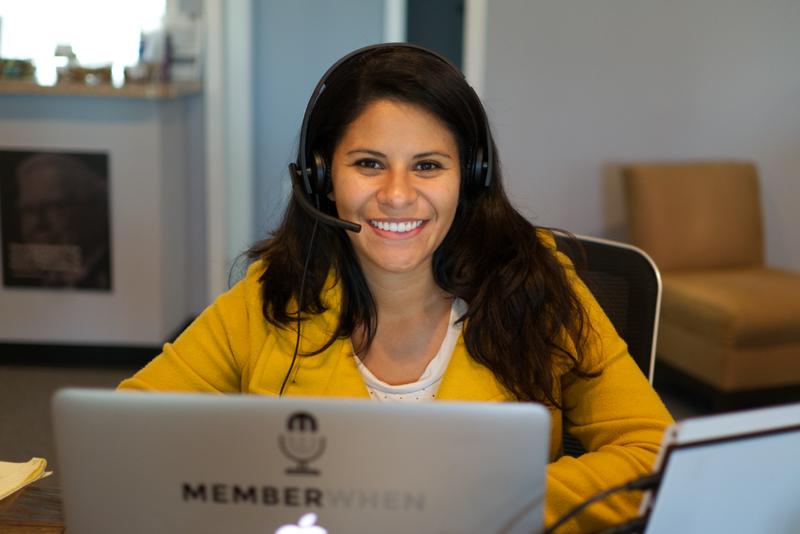 Part of the magic of MemberWhen is when our creative team takes your Q&A conversation and turns it into a high quality, edited, narrated, audio story that you will treasure for a lifetime. As a storyographer at MemberWhen, I look forward to hopefully chatting with you soon!